When we attend a concert, conference, or gala, visit a museum, zoo, or amusement park, ride on a bus, plane, or train, or bet in a horse racing, lottery, or bingo, we need to have this certain important piece of material, whether a hard copy or soft copy, in order to have access to the place, vehicle, or event—tickets. Indeed, tickets have a lot of functions in our day-to-day activities and events. Knowing how to create a ticket is important especially when you are holding an event, a transportation company, or even a gaming company. You see, tickets are very versatile as it plays different roles according to the purpose that you want it to serve. Know more about how to create a ticket, the types of ticket, and other ticket discussions in this article. 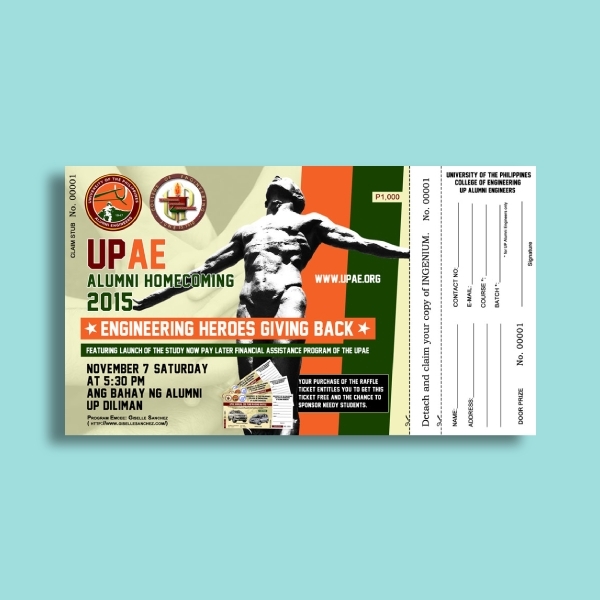 Ticket templates and templates are also presented below. When talking about tickets, it is a broad category which encompasses tickets with different functions or purpose. However, regardless of the purpose, a ticket must follow a certain format comprising important elements for its completeness. For a template to be functional while being visually attractive, at a minimum, it must have the following elements. 1. Main heading: This pertains to the headline that is printed typically at the front or at the center of your ticket. If you are creating an event ticket, this can be the name of the event, while if you are creating a transportation ticket, this may be the name of the vehicle you are riding on. 2. Ticket Information: Again, the ticket information varies from one ticket to another depending on the type of ticket you are creating. Some ticket information included may be the date and time for an event, while others may contain the amount of the ticket. 3. Graphics and illustrations: As you have observed, some tickets are created with text only. 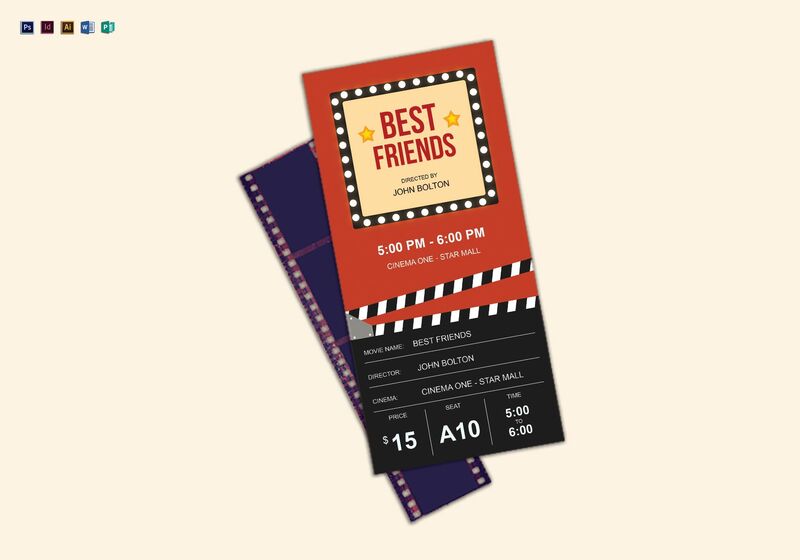 However, typically, graphics and other illustrations are incorporated in order to make the ticket more eye-catching. 4. Unique serial number: This pertains to the bar code or unique identification number of your ticket. This can also serve as a tracker whenever you want to verify the authenticity of the ticket. 5. Terms and conditions: A ticket must also contain the terms and conditions so that people will be aware regarding this matter. Typically, this section brief and concise, making it easier for the audience to understand your terms.You may also see live concert ticket examples. It is important that you have at least the basic knowledge in creating a ticket because this will come in handy when you are working with an organization that is dealing with tickets. Creating a ticket is quite easy given that we now have computers that contain tools and applications for ticket creation. Here are the simple steps that will help you get started with your ticket creation. 1. Choose an orientation, style, and format: Among the first things that you must decide are the orientation, style, and format of your ticket. For the orientation of your ticket, you must decide whether you like it portrait or landscape. Consider the text that you want to include in your ticket to determine the appropriate orientation for your ticket. In choosing the style, take into consideration the purpose of your ticket. For example, if you are organizing a classical music concert, your ticket style may be somewhat old fashioned or vintage. For the format, you must decide where to place the elements in your ticket to make it look organized and not cluttered. You may also see festival concert ticket examples. 2. 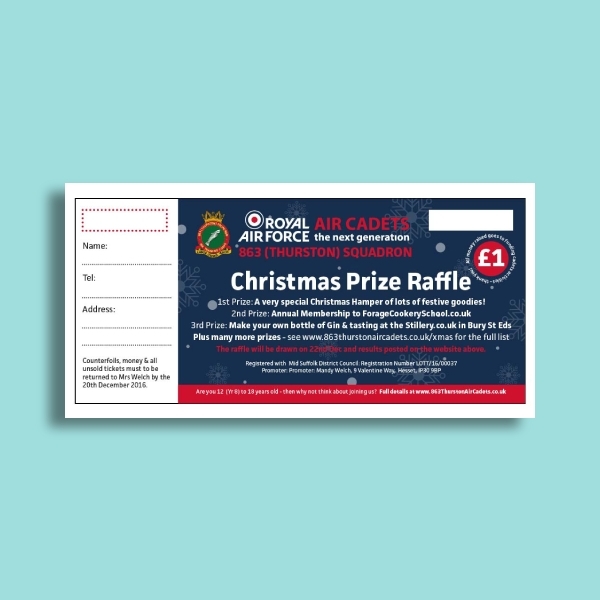 Choose a shape and size: Apart from the abovementioned items, you must also carefully think about the shape and size of your ticket. Choose a size that can accommodate all the elements of a ticket but still consider the white spaces which give your elements room to breathe. 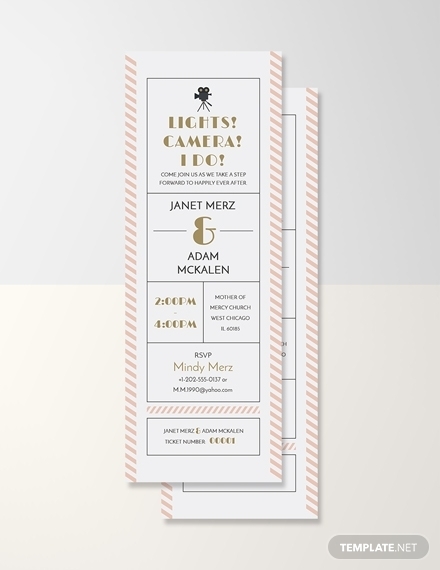 For the shape, you may choose the traditional rectangular shape or you may prefer any other unique shapes which provide more visual appeal to your ticket. 3. 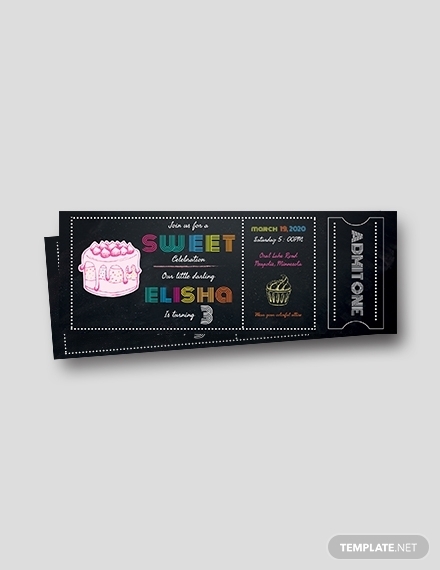 Incorporate designs: The designs in your ticket must be related to the purpose or theme of your ticket. 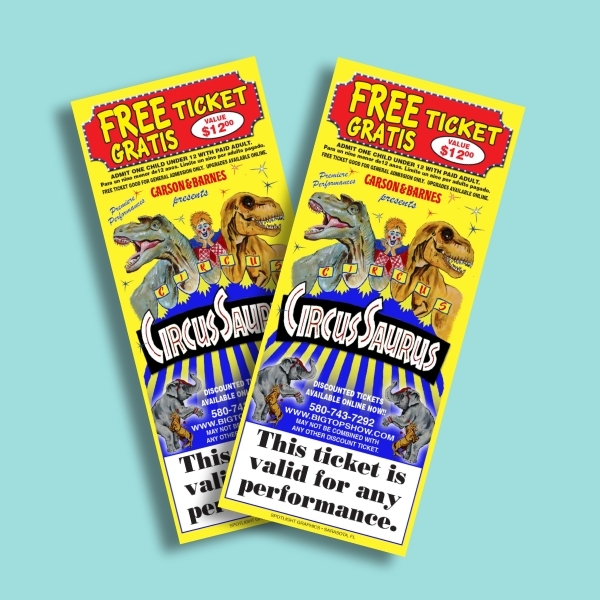 For example, if you create a circus ticket, it is given that your designs are all about circus props or costumes. You must also choose the appropriate colors for your ticket so it would be coherent with your overall theme. You may also choose colors that are related to the branding of the company such as the colors of the logo or the mascot of the company. 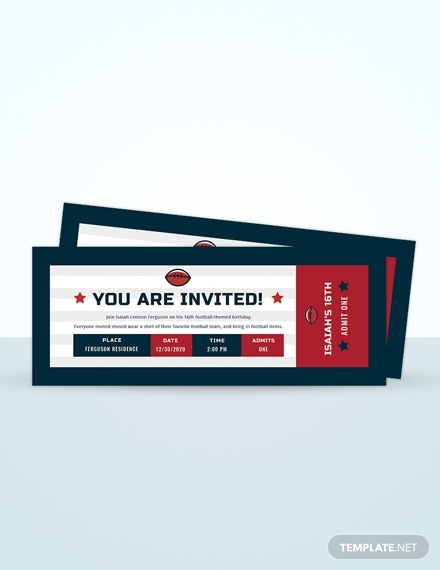 You may also see vip event ticket examples. 4. Arrange the elements: The important elements of a ticket is stated in the first part of this article. These elements must be present in your ticket to provide the buyers with enough information regarding the ticket including the amount of the ticket and terms and conditions. Organize these elements in order to perfectly fit the limited space of your ticket. Ensure that the elements complement and are not overlapping with each other. 5. Proofread: Finalize your design by double-checking and proofreading the contents of your ticket to spot for any errors especially in the amount and ticket unique number. Also check for spelling and grammatical errors in order to prevent reprinting which entails additional expense to the company. Not only that, errors in your ticket might mislead the buyers. For example, if you commit an error in the seat number, they might sit on another seat or two people might be assigned to one chair, thus starting a conflict. 6. 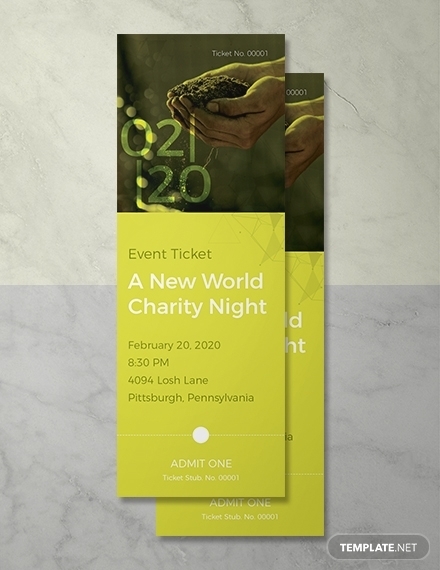 Choose a paper: After finalizing your design, you have the option whether to save your ticket or launch online or print a tangible copy. Usually, nowadays, tickets are sold online while also selling a tangible version. Hence, you need to print your ticket to sell them physically. 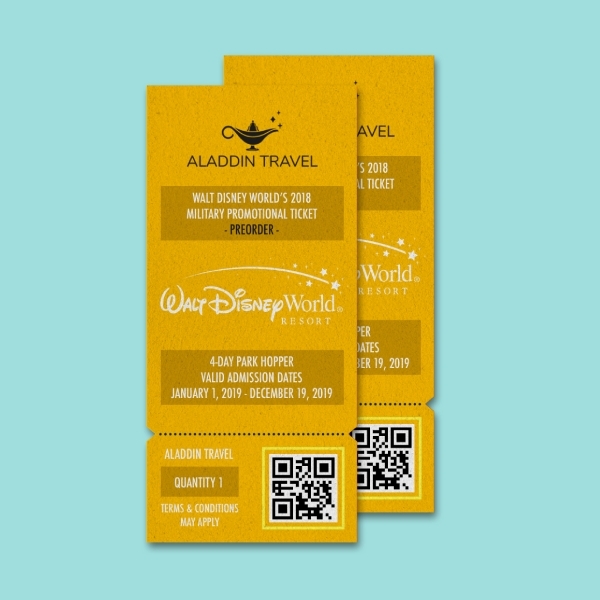 Before printing your ticket, you must decide on the type of paper to be used, taking considerations to the thickness of the paper as well as the paper finish. You may also see event show time examples. 7. Print: Finally, when you have decided on the type of paper and the paper finish, you can now print your design. If you have a printer and ink on your own, you can print the ticket yourself. On the other hand, if you do not have a personal printer and ink or you consider printing in printing shops, carefully choose a printing shop that caters a high-quality printing with a printing cost that is lower compared to its competitors or those that provide you great discounts when you are printing in bulk. Admission tickets: Carnivals, ports centers, zoos, safaris, amusement parks, museums, and theaters are examples of places that issue admission tickets for their visitors to have an access to the place or to enjoy the available services offered by that certain place. This is also known as an entrance ticket. 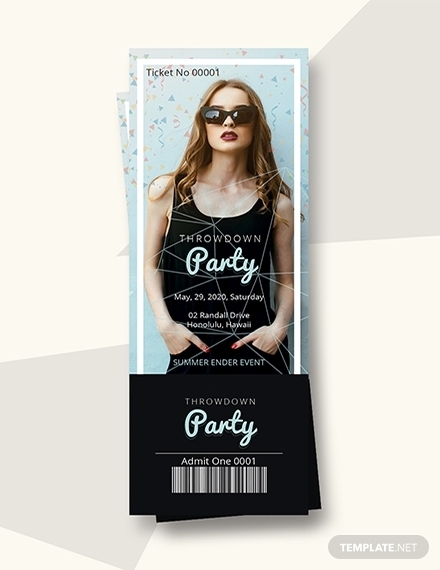 Event tickets: Often used in concerts, galas, charity programs, and even weddings, the important functions of an event ticket include measuring the number of people attending the event and serving as an invitation ticket and admission ticket. While they are typically sold, some are just given away by organizers for free. 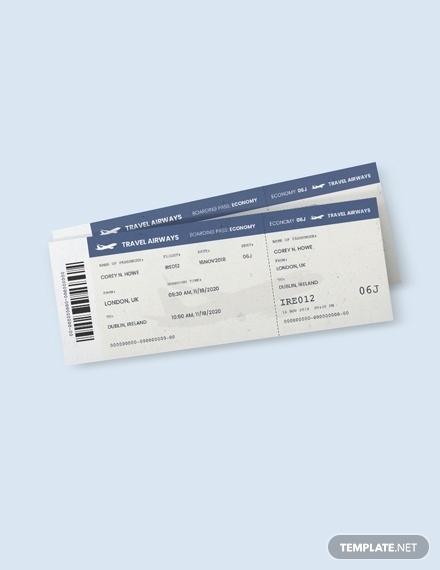 Transportation tickets: These are issued online or from ticketing outlets by transportation vehicles such as airplanes, trains, buses, and boats giving access to passengers on board the vehicle. This also functions as a proof that a passenger has paid the necessary fees for the travel. 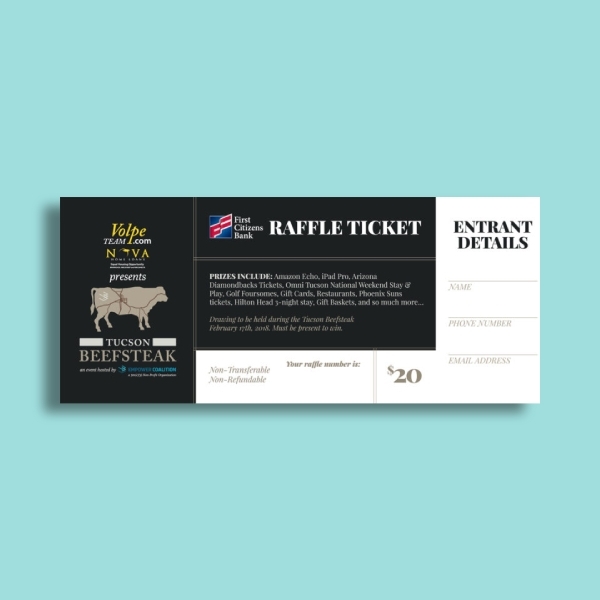 Gaming Tickets: Examples of gaming tickets are horseracing tickets, bing tickets, raffle tickets, and lottery tickets. This gives the buyer a chance to win the prize at a competition or tournament. 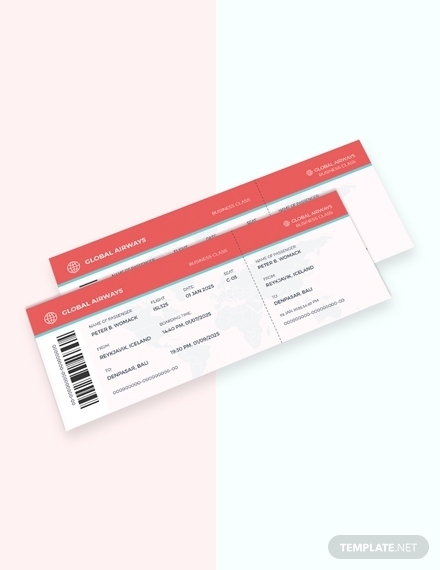 Electronic ticket: Often abbreviated as e-ticket, this refers to online or digital ticket equivalent to the paper ticket commonly associated with airline-issued tickets. This is an efficient method of ticket entry, processing, and marketing as everything is processed online from the marketing of the tickets to sales and accounting. Traffic ticket: This is a form of a notice issued to a motorist or other vehicle drivers by a law enforcement official which indicates that the person has violated certain traffic laws. It comes in two forms: citing a moving violation and a non-moving violation, such as a parking violation, hence also called parking ticket. 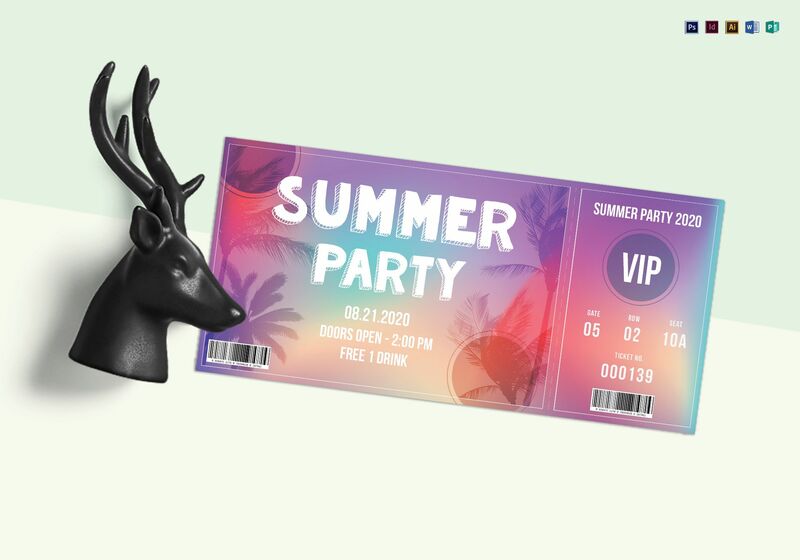 You may also see summer party ticket examples. Toll ticket: This is issued to motorists and other road users to pay a toll rate based on the distance they have traveled from their originating entrance to their destination exit and is determined by requiring the person to take a ticket upon entering the system. This ticket displays the exit number from which it was issued, and the precomputed chart of toll rates will also be displayed. The motorist presents the ticket to the toll collector upon arriving at the destination exit. Tickets do not only come in different types; they also have different sizes, and the choice of the size depends on the creator of the ticket. 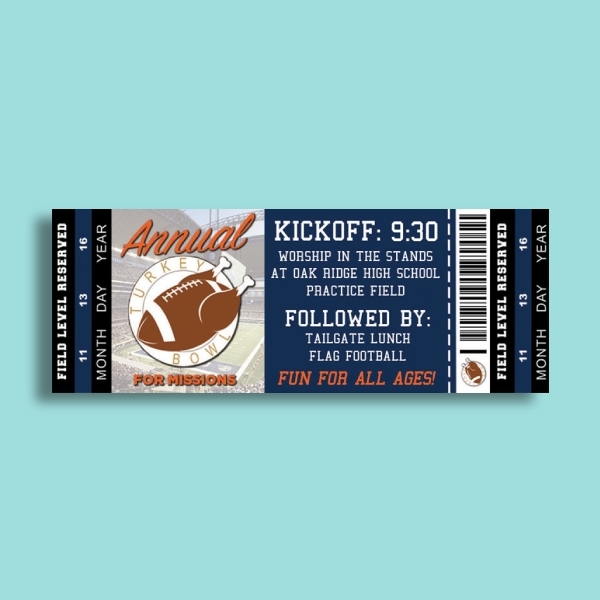 More often, large-sized tickets are used when you need enough space to contain your photos and graphics. On the other hand, small-sized tickets usually contain more text than graphics. Here are the options for the sizes of a ticket. Here are the answers of the frequently asked questions regarding tickets. How important is a ticket? As it has been constantly stated above, tickets can be used for a variety of purpose depending on the type of ticket you are creating. 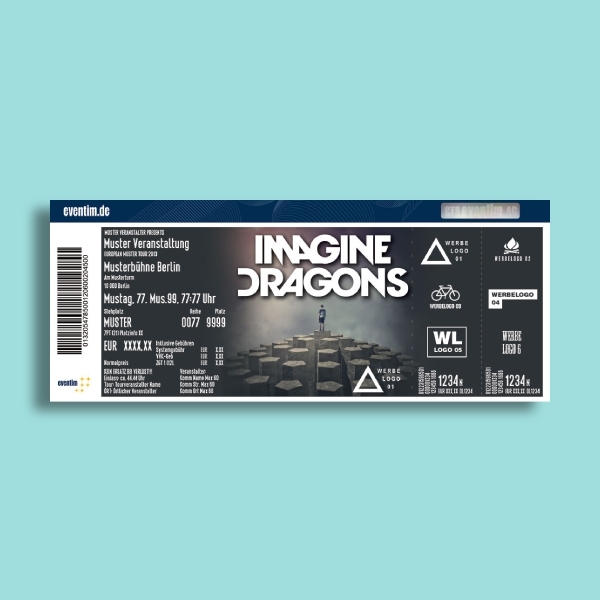 For example, in a concert ticket, the ticket is used for admission, in order for the buyer to have access to the concert. This would also serve as a verification tool whether or not a certain individual is allowed on the concert. Sometimes, stated in the concert ticket is the seat number of the bearer of the ticket. What are the common types of event tickets? 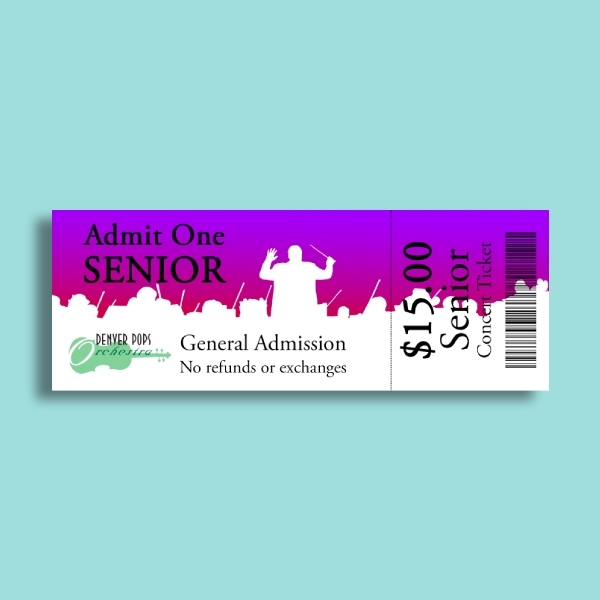 General admission: This is the most common of ticket types which is used by every event for the bulk of their admissions. Typically, this ticket is on sale the longest and is usually the least expensive compared to other tickets. 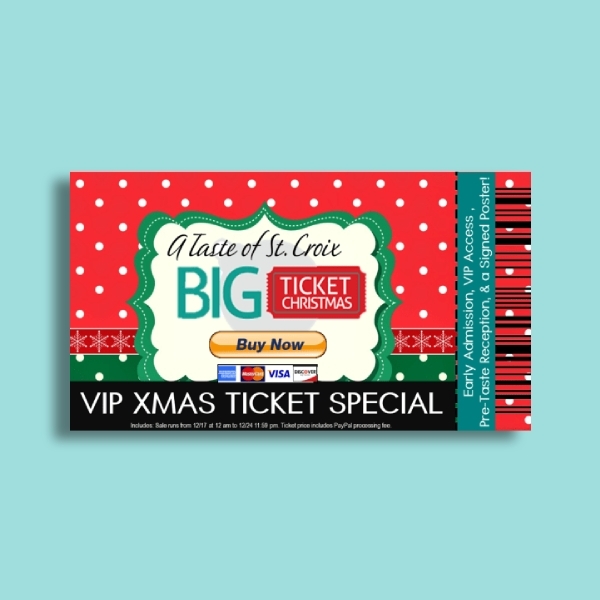 VIP ticket: This offers the attendees the exact experience they’re looking for, but this is more expensive than the general admission tickets. Reserved seating: In an event where the attendees are seated beforehand, a reserved-seating ticket is issued, letting the attendees choose their desired seat. 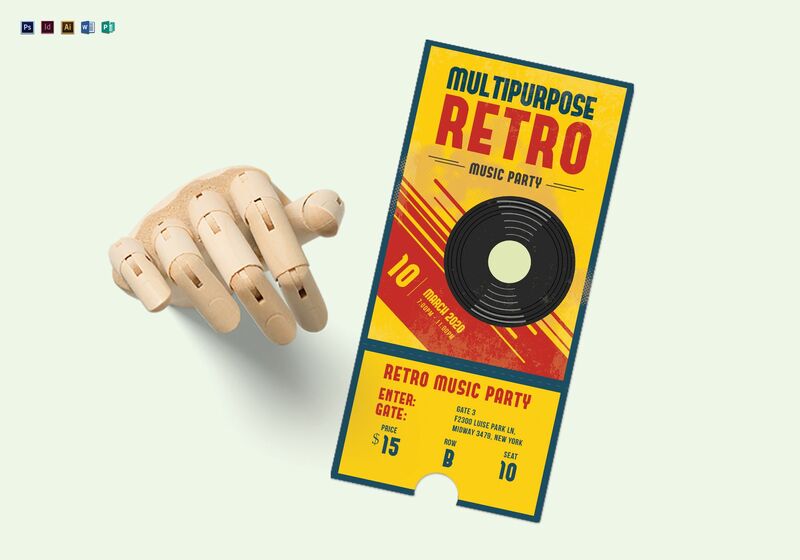 Multi-day pass: For events that are taking place over many days, a multi-pass ticket is issued to attendees who want to attend all the days encompassing the event. One-day pass: While a multi-day pass is used when an attendee wants to attend all the days in an event, a one-day pass will give the attendee an access to a multiple-day event for only one day. Early bird tickets: These tickets provide a huge discount to people who are purchasing the ticket within a predetermined pre-sale period. You must decide the span of the early-bird promo and the amount of discount that you want to offer to early-bird attendees. This is a marketing strategy encouraging people to buy in advance and to buy more before the promo period ends. Coded discount: These are the tickets that are offered at a lower price with a special promo code. The purpose of this strategy is to ignite the interests of return attendees, offer last-minute discounts, or partner with third parties.